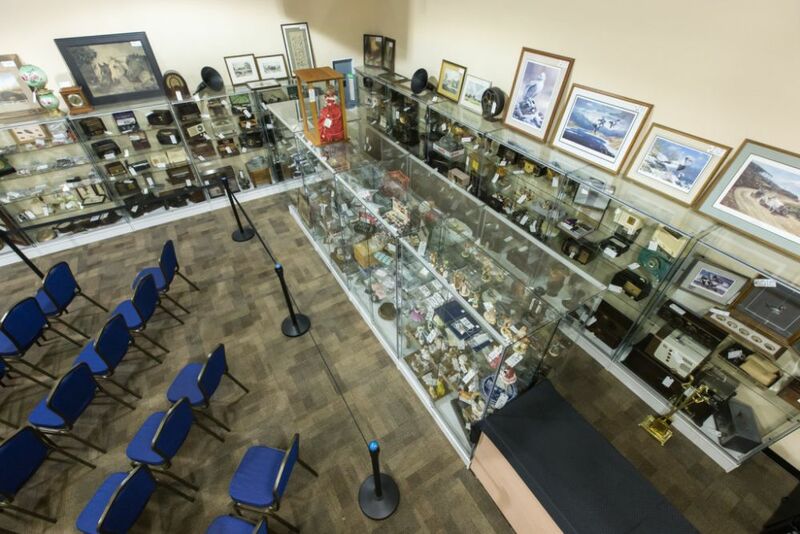 In 2015, we completed the remodeling of our beautiful, state-of-the-art Auction Gallery. This space allows us to host international consignment auctions to large crowds, with a combination of live and online bidding. The comfortable furniture, big screen TV, quality sound system, elegant display cases, computerized clerking and cashiering, and free light buffets are designed to create a positive and memorable experience for all our attendees. If you have valuable items to sell, but not enough for an auction, we can sell them during one of our periodic consignment auctions. Give us a call at 260-441-8636 for more information.